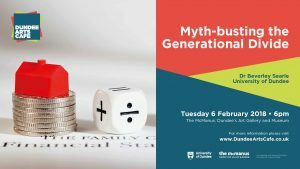 A blogpost discussing the topics covered at this event and written by Kirsteen is now available at the Bright Green Scotland website. In the brutality of the recession we have an opportunity to redesign our society for the better. In order to do so however, we must recognise the causes of the recession rooted in law and in our relations with each other, which are often shaped by law. Only then might we stop fuelling economic inequality and invest in a fairer and more sustainable future. This talk by Kirsteen Shields from the School of Law at the University of Dundee, offered a beginners guide to public power and how any individual may influence it. The new season of Dundee Arts Cafe starts on Tuesday 6th September at 6pm in the McManus Cafe. Our first speaker this year is Professor Jim Tomlinson, a lecturer in History from the University of Dundee. This talk will take place on Tuesday 6th September at 6pm in the McManus Cafe, Albert Square. Dundee Arts Cafe talks are held on the first Tuesday of every month at 6pm in the McManus Cafe, inside the McManus at Albert Square, in the City Centre of Dundee. The McManus is Dundee’s Art Gallery and Museum, and the cafe is located at the entrance and will be open before and throughout the talk serving hot drinks, wine or beer and snacks. This is a FREE talk and everyone is welcome, there is no requirement to book, but there is limited seating for 60 people so please arrive early to ensure a seat. Our next Dundee Arts Cafe Talk is at 6pm on Tuesday 3rd May by Catia Montagna from the University of Dundee. 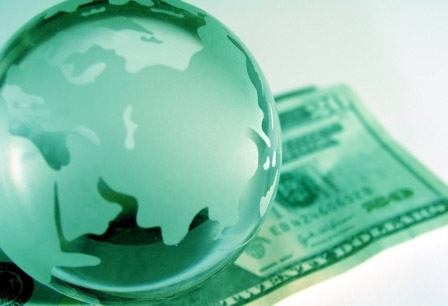 Catia will be discussing some of the key aspects of economic globalisation, including how they affect the way we live. Very few trends have generated as much debate as the increasing amount of economic globalisation, with opinions ranging from extreme praise to extreme criticism. Catia will explore the origins of both sides of this argument and reflect on why, what is seen as a source of opportunities to enhance national prosperity by some is perceived as a threat to our individual and collective security by others, and on the role of government policy in balancing these positions. Dundee Arts Cafe talks are held on the first Tuesday of every month at 6pm in the McManus Cafe, inside the McManus at Albert Square, City Centre Dundee. The McManus is Dundee’s Art Gallery and Museum, and the cafe is located at the entrance and will be open before and throughout the talk serving hot drinks, wine or beer and snacks.